The Israeli government body, the NTA Metropolitan Mass Transit System Ltd (“NTA”) has issued a call for pre-qualification for tenders for the construction of Tel Aviv Metro’s 23km long Metro Red and 35km long Green Line. 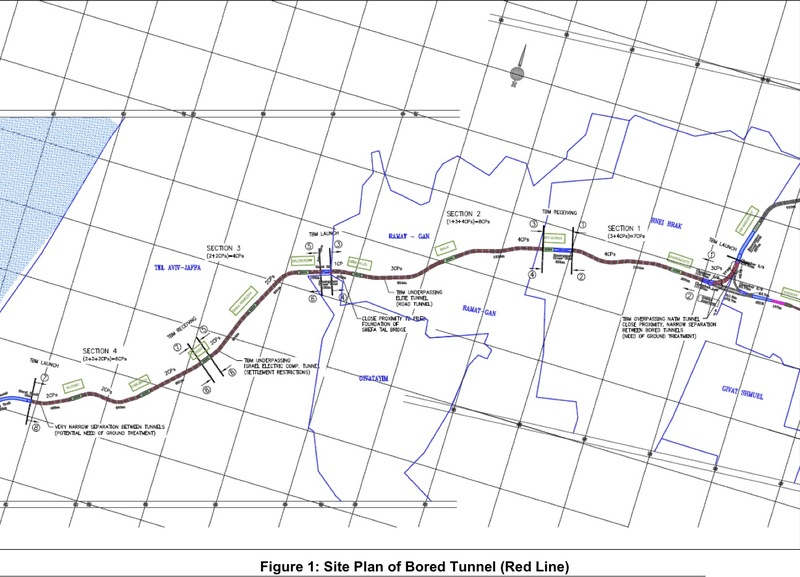 To be built under a design build contract the Red Line features 8km of twin bore 6.5m i.d TBM driven tunnels, and the Green line 3km of twin 6.5m i.d, TBM driven tunnels. The Red Line is the first Light Rail Transit line of the Tel Aviv metropolitan area mass transit system to be implemented followed by the Green Line. The tunneled sections of both lines are in their central areas and will also include cut and cover and NATM tunnel construction and the provision of cross passages every 250m. NTA wishes to retain tunnelling contractor(s) to provide design-build services for the shield TBM bored tunnels for both the Red Line and the Green Line including the mining of cross passages and certain post TBM works as will be further described in the Tender documents. At this first Pre-qualification stage of the Tender (“PQ”) NTA will review bidders qualification with the threshold requirements detailed in the Tender documents including without limitation, certain tunnelling experience requirements, certain design experience requirements and certain financial requirements. Only qualified bidders shall continue to the second Tender stage and will be entitled to submit the quality and price offers. The Tender documents can be downloaded as of January from NTA’s website at: http://www.nta.co.il/site/en/neta.asp?pi=464. A mandatory bidders’ conference shall be held by NTA on February 22nd, 2012, 09:00 Israel standard time, at a location in Israel to be determined by NTA.